Diese gehäkelte Decke mit Kapuze ist die Gemütlichkeit auf höchstem Niveau. Die Anleitung ermöglicht dir das perfekte Geschenk für Mädchen jeden Alters. Sie wärmt so süß wie möglich…. als Einhorn! Egal ob du eine Einhorn oder eine Pferdedecke machst, jeder der es sieht wird begeistert sein. 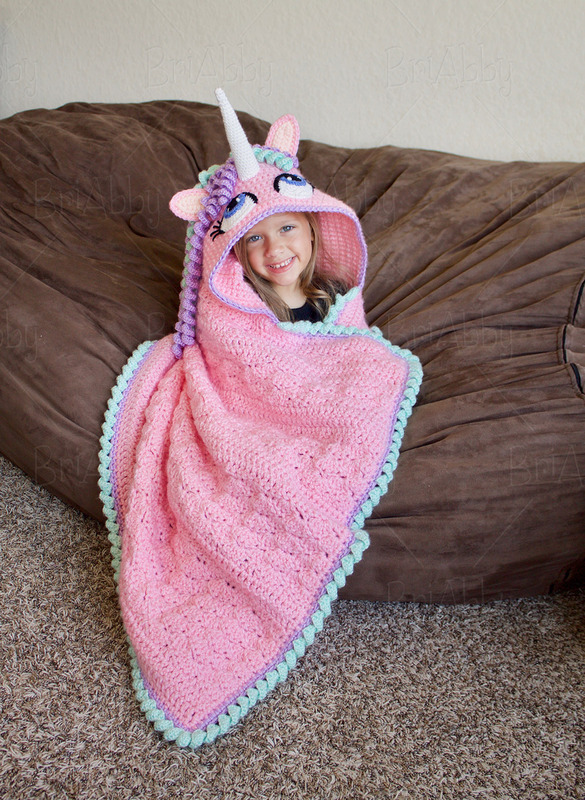 This crochet hooded unicorn blanket is comfy coziness at its best! This pattern will help you create the perfect gift for girls of all ages (I’m sure some of you want to make one for yourself!). 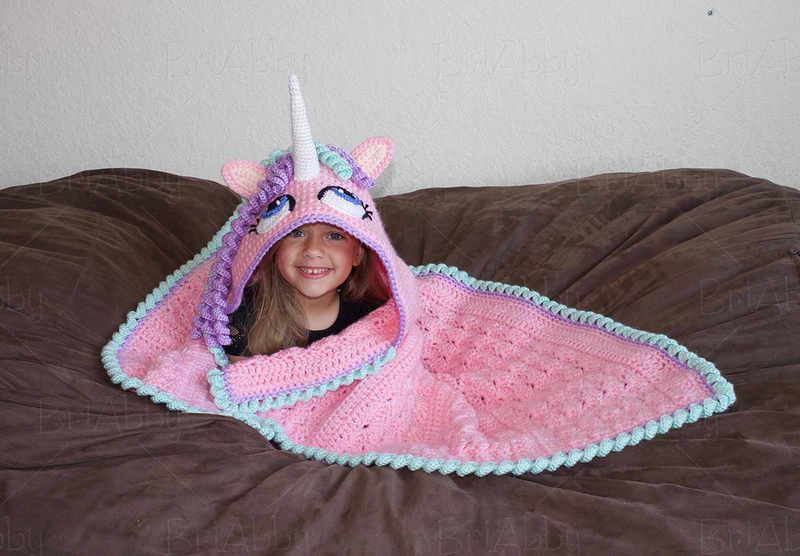 The pattern includes instructions to make this hooded unicorn blanket in either chunky yarn or worsted weight yarn. 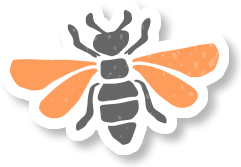 It is very detailed and there are pictures throughout to make things easy to understand. With these detailed instructions, even those with little crochet experience can find success creating their own masterpiece! Skills: Single crochet, double crochet, half double crochet, slip stitch, working in back loop only, basic increasing & basic sewing. Hooks: You will need a 4 mm (G), 5.5 mm (I) and if you make the chunky blanket you will need a 8 mm (L) hook (you will be using a 6 mm (J) hook for the worsted weight blanket) IF YOUR GAUGE MATCHES MINE! You do not need to match my gauge if you don’t care how big your blanket turns out but yarn amounts will be different! Yarn: FOR CHUNKY I used beautiful yarn from Premier called Toy Box. The color is called Kite. You will need 1100 yards for small child, 1800 yards for large child & 2650 yards for teen/adult. I also used a thinner worsted weight yarn (Caron Simply Soft – Soft Green, Orchid, Country Peach, Black, White & Berry Blue) for the border and details on the hood to keep it lighter. One skein is enough for all sizes. Due to the nature of this item, no refunds will be given. If you have any questions I would be happy to help and my email is listed on the pattern. In addition to this hooded unicorn blanket pattern, I have matching hat, toy, lovey, leggings & tail patterns in my shop if you want to complete your set!